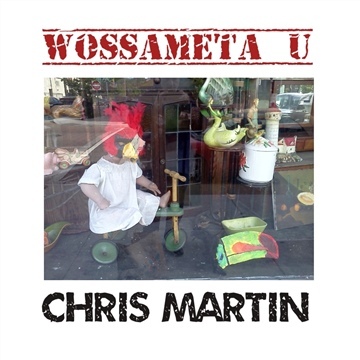 Chris Martin of Richmond, VA got the comedy bug back circa 2000 when he emailed Anderson Cooper of ABC’s World News Now several jokes and Cooper read one of them on each night of his broadcast from London with JuJu Chang. 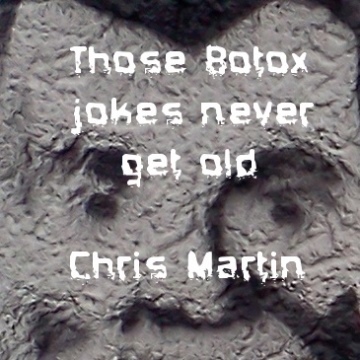 Chris thought, maybe this joke-writing stuff has potential and started looking for open mics. The only ones he found featured guitar players along the lines of Bluto’s nemesis in “Animal House” so he promptly went back to sleep. He first did a cold read at Yellow House’s performance workshop at the Firehouse Theater on West Broad Street in Richmond. He then started doing stand-up comedy in March, 2009, performing in open mics at Emilio’s, McCormick’s, Baja Bean, Strange Matter, Sticky Rice, Cafe Diem, Fallout, City Dogs, Cameldy @ the Camel and the 9:55 Comedy Club in Richmond and Mobile AL, as well as Cozzy’s Comedy Club in Newport News and the Charlottesville Comedy Roundtable in Charlottesville, VA. His specialty is topical humor. He was in new talent showcases at RITA’s Comedy Club in Richmond and Cozzy’s comedy clubs in Newport News, Virginia. He’s also been the MC for Super Friends Camp comedy show at the New York Deli and Cafe Diem Comedy Night in Richmond. He received a standing ovation at the Official Blake Midgette Roast at Cafe Diem. He’s also been the MC for open mics at the 9:55 Comedy Club, Cameldy @ the Camel, Cafe Diem and Cozzy’s Comedy Club.